Lloyd’s Tree Services care for and manage trees, shrubs and hedges for commercial properties, rental properties, schools, trusts and private residences. We plant them, prune them, remove them and care for them. 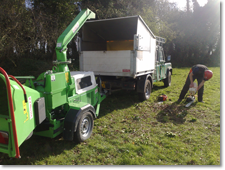 We use state of the art equipment, and are well schooled in arboricultural techniques, and along with our comprehensive Health & Safety Policy and we also carry liability insurance for £5m. We pride ourselves in the quality of our work, and are happy to provide you with a free, no obligation quote for any arboriculture work. If you would like a quote or have a query about a problem we may be able to help you with, you can get in touch on our contact page. More details about the full range of services we offer on our services page. "We were really pleased with the highly professional standard that you gave in felling the Ash Tree. We had felt concern about the height of the tree and its closeness to the outbuildings but no need…no damage and excellent job done! Many thanks and we recommend your work as Highly Professional and Reliable."